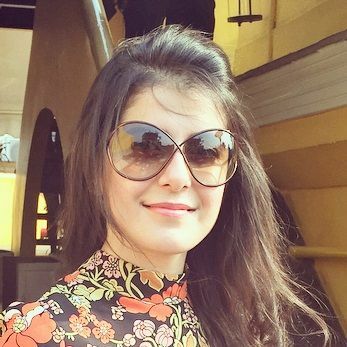 Exposure to sun along with our fast-paced, multi-tasking lives have accelerated the process of ageing. While most experts suggest starting early, not all of us want to spend a bomb on serums and night creams. When it comes to your beauty regime, it’s best to go au naturale! Yes, ladies, there are certain natural anti-ageing ingredients that work like magic. Anti-bacterial and anti-inflammatory, there are many natural ingredients that are powerhouses of antioxidants that reverse the effect of free radicals. Keep reading to find out more about their power-packed ingredients and where to find them! 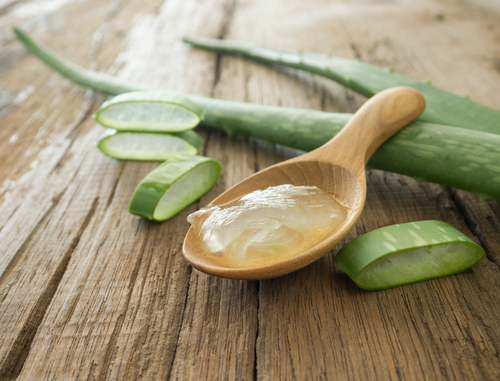 We mean it when we say that aloe vera is the ace when it comes to anti-ageing. Straight from the plan, aloe vera is packed with oleic acid which makes it an extremely hydrating.. It is also rich in Vitamin E which boosts the skin’s health and how! And ladies, Vitamin E is known to fight free radicals that cause ageing too. How to use it: Make a paste with ½ avocado (riped), 1 teaspoon of wheatgrass juice and 1 tablespoon yoghurt. Apply this face pack thrice a week, and wash it off after about 20 minutes. Try the Aroma Treasures Aloe Vera Gel (Rs 321) for this face pack. One of earliest signs of ageing is dry skin. 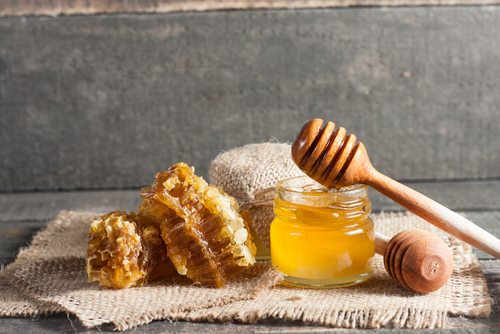 With moisture-enhancing ingredients, honey is great to use on all skin types. It has antifungal and antibacterial properties too and it maintains the pH balance of the skin. How to use it: Apply organic honey on your face on a daily basis. Leave it on for 10-15 minutes, and wash it off with lukewarm water. The Organic India Honey Wild Forest (Rs 195) is the one to pick. 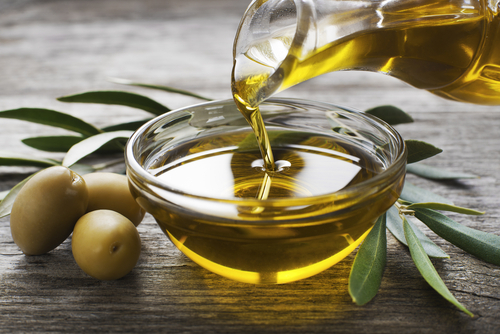 Cold-pressed oils are often the purest form and hence high on potency. Almond, coconut and olive oils penetrate the innermost layer of the skin and help hydrate your skin for hours. These oils can be used on the body and face to combat the ageing process. How to use it: Apply your favourite oil daily and massage well into the skin before a shower. Green apples house the powerful combination of flavonoids, alpha-hydroxy acids and polyphenols. A powerful combination, these help soothe, brighten and plump your skin. Applying green apple masks will definitely benefit you in more ways than one. 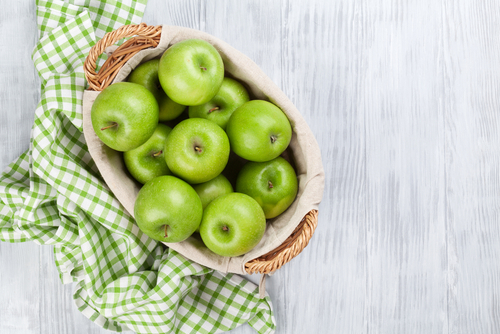 All the minerals present in green apples will make your skin baby soft and will hinder ageing of skin too. How to use it: Toss 1/2 green apple and 2 tablespoons of honey in the blender to form a paste. Apply it all over your face and neck and leave it on for about 20-30 minutes. Rinse it off with lukewarm water after. Do this twice a week. 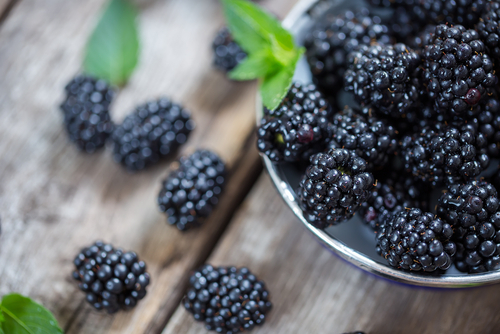 Blackberries are loaded with Vitamin A, B and E, all of which are known to reduce and even improve any signs of ageing. It is also a great antioxidant which works beautifully for the skin. This is one ingredient you must eat and apply if you want youthful skin always! How to use it: Put some walnuts (that will be a wonderful exfoliantant) and blackberries in a blender to form a puree or paste-like consistency. Apply this anti ageing cream twice a week and wash it off after 15 minutes for the best results.